I absolutely LOVE the DIY faux pewter pedestal bowl tutorial at Morena’s corner so I had to try making one myself. I looked on Amazon to find similar items to see how much they cost and you can definitely get the look at a fraction of the price with this method. Here are some examples: Mermaid Pewter Bowl , Decorative Pewter Bowl on Pedestal and Pewter Octopus on Glass Bowl (Just use this method on the figure before attaching it to the glass). Just think of all the possibilities! I picked this cute little angel to stand in the middle of mine. The angel, dish, and pedestal were all from Dollar Tree! I love how it turned out, what do you think? For the full tutorial please visit Morena’s corner HERE. 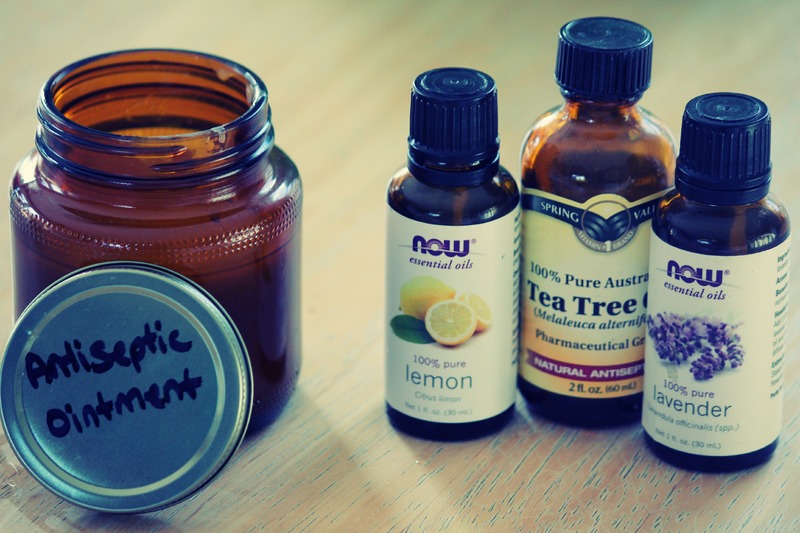 This homemade makeup primer has only 2 ingredients, it couldn’t be more simple and it’s so cheap to make! I have been using it for a few weeks now and I am loving it. This is going to sound really weird but I was using this anti-chaffing gel as a primer for years. I can’t remember where I saw it but someone had suggested it as a cheaper alternative to this Smashbox primer. It actually works great, although I can’t say if it compares to the Smashbox primer since I never tried that. Still, I wanted to try to make something that has better ingredients and to save even more money. I have seen other primer recipes that say to mix your foundation with moisturizer but I wanted to try to make something similar to the gel I had been using for a long time. I already had a small bottle of aloe gel I picked up at the dollar store. We live in Florida and I burn easily so it’s a must have! I grabbed that and went to the kitchen to experiment, this is what I ended up with. Simply mix together until combined, and store covered so it won’t dry out. Apply to clean skin and let dry before applying foundation. I wanted to use arrowroot powder but I’m currently out, more people will probably have cornstarch in their kitchen anyways. If you try the arrowroot powder version please let me know how it turns out in the comments. It has always worked perfectly in place of cornstarch in other things I have made. Either way, this costs only pennies to make! I think this is a great amount to start with to see if you like it. If you want to make a bigger batch then simply increase the aloe gel to 1/4 cup and the arrowroot powder to 1 tablespoon. I hope you enjoy this and that it will help save you money! If you try it, please let me know how you like it. If you have any ideas on improving it, I would love to hear those also. Since it’s finally spring, I just wanted to share some pictures with you guys! This is probably my favorite time of year here in NE Florida. The weather is gorgeous! (as I am writing this, it’s in the 70’s with blue skies – perfect!) I already have some peas in the garden and some other baby plants in pots (Tomato, basil, melon, etc.) I absolutely love working in the garden, even if I pay for it later lol. We have lots of wildflowers blooming and it’s just a beautiful time of year with the new growth. I hope these will bring a smile to your face, especially if you are still dealing with winter weather where you live. Pea plant with flowers. Easy Peasy variety. My youngest picked these plants. Sweet alyssum, Pansies, and Dusty miller. Oak trees with new leaves. In this post I am going to compare homemade and store bought hummingbird nectar, go over the dangers of red food dye, and share a super easy recipe to make your own hummingbird nectar. Please read all the way to the end, I share some important information and tips. Our feathered friends will be making their way north very soon! According to Southeastern Avian Research, the Ruby Throated Hummingbirds will be arriving in my area any day now 😀 If you would like to see the migration map you can find it on their Facebook page. You do NOT want mold to start forming, this could make the birds very sick. You will want to change the nectar out frequently, you may have to do it daily or every other day if you live somewhere very hot (like I do!). If the nectar starts to look cloudy, it definitely needs to be changed. I like to clean my feeders out with an all natural soap and vinegar, it’s important to make sure to rinse very well. When looking for a feeder, I like to make sure that a bottle brush will be able to fit inside for cleaning as some have very narrow openings. Now for homemade nectar, it’s VERY cheap, and VERY easy! You can make it fresh in small batches as needed if you’d like, or you can make a large batch and store the extra in the fridge for up to a week. This will need to be replaced more often than store bought, as it contains no preservatives. I have seen conflicting advice on whether or not you need to boil the water, but I like to do it just to be safe. You also want to make sure you ONLY use white cane sugar. Please never use honey or any artificial sweeteners, or RAW sugar because it is higher in iron which can be bad for the birds in large amounts. You want plain ‘ole white sugar. Heat water to boiling, remove from heat, and stir in sugar until dissolved. Cool before pouring into hummingbird feeder. Store extra covered in fridge for up to one week. Replace with fresh nectar often, especially in hot weather. This picture is from 4 years ago when we lived in an apartment complex in a very busy area of town. I used this same recipe and it attracted multiple hummingbirds to our balcony! Avoid using insecticides/pesticides in your yard, hummingbirds also eat bugs! If you have many birds battling over the feeder, consider hanging multiple feeders, even in multiple locations around the yard. Plant flowers and fruit trees to help attract hummingbirds. If you see a praying mantis on or near your feeder, please gentle relocate it to another spot. Praying Mantis can catch and eat small hummingbirds. Find beautiful hummingbird feeders here. Enjoy watching your new feathered friends! 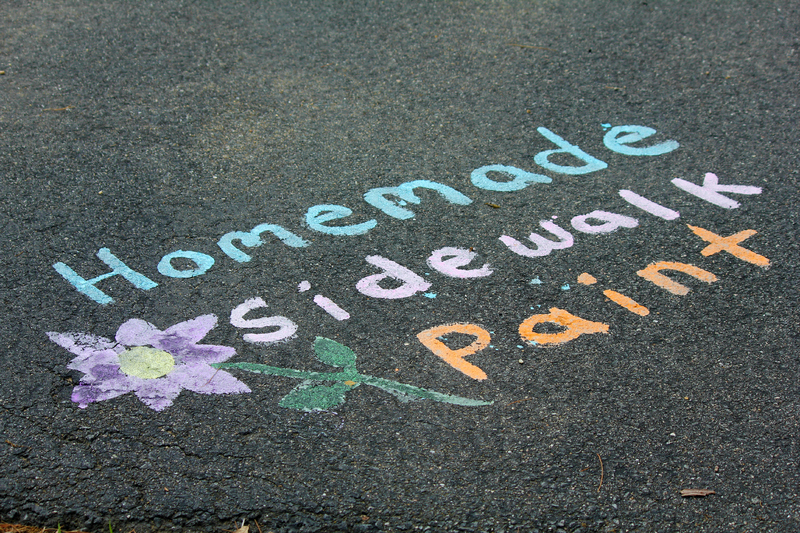 I have seen a few posts on Pinterest about homemade sidewalk paint, so of course I had to make some myself. Most recipes I came across said to use water, cornstarch and food coloring. I really didn’t like that idea, food coloring stains SO easily! So after a little researching I noticed some people saying they used non toxic washable paints instead. (I like this kind by Crayola) If you have young kids you probably already have some laying around anyways! 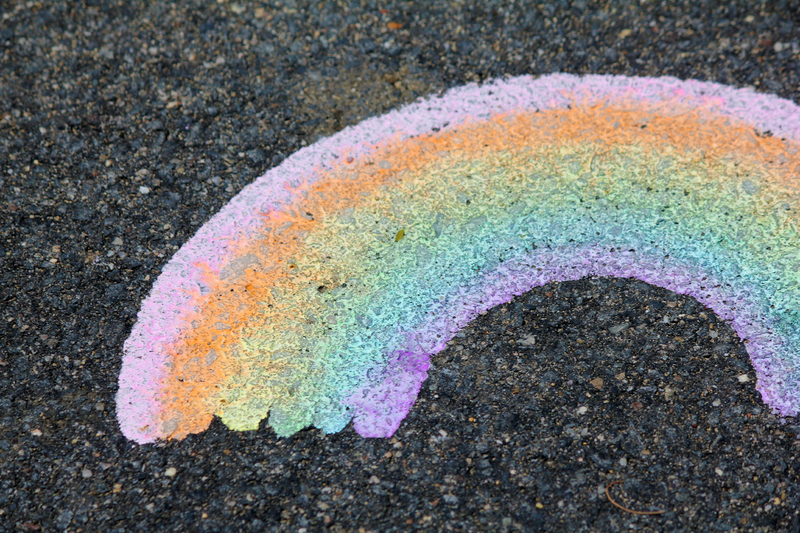 Yes they sell washable sidewalk paint but it is more expensive for just a few colors. Why not make your own? It is cheaper and so easy! My daughter had a blast helping me mix everything together 🙂 I did not see any exact measurements for using washable paint, only to use equal parts water and cornstarch. So I just decided to experiment and I think it came out great! See how bright they are?! You could probably just stir with paint brushes but since I didn’t feel like digging up that many I just used popsicle sticks I already had in the kitchen. 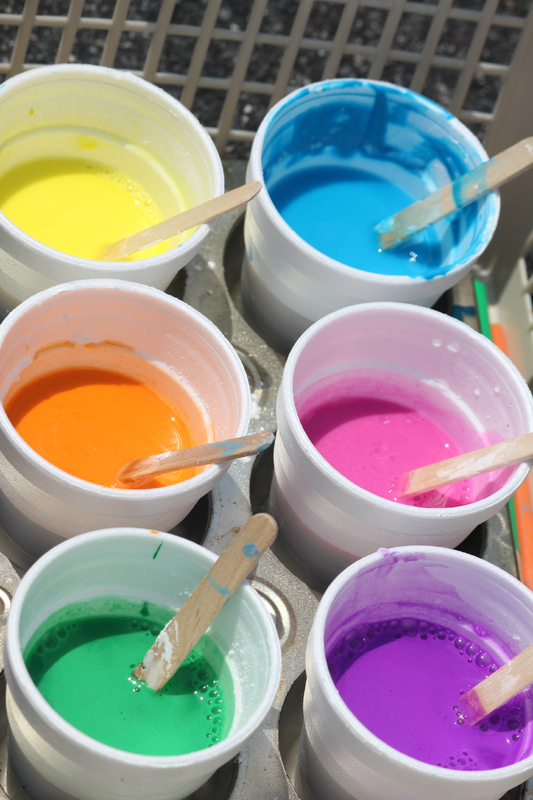 Adding the paint to the water first makes it easier to incorporate. Some people just put everything in a jar and shake it up. If I had extra jars I probably would have done that because we have some left over and the jars would be perfect for storing it for next time! 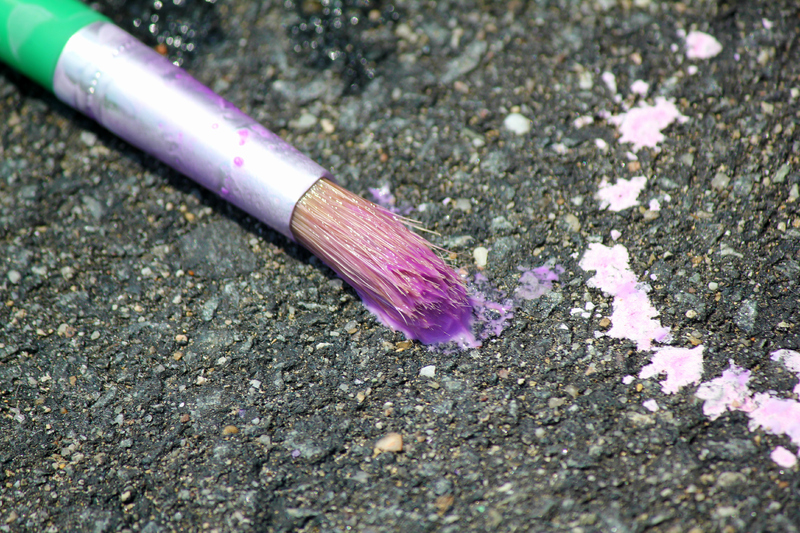 You will need a brush with rough bristles that holds a lot of paint. I bought the one in the picture below at Michael’s craft store. It was only a couple of dollars for 3 of them and they were perfect for this! The handles are also thick and easier for little hands to grip. These or these brushes also look like they would be perfect! Happy Cinco De Mayo! What better day to share this recipe? 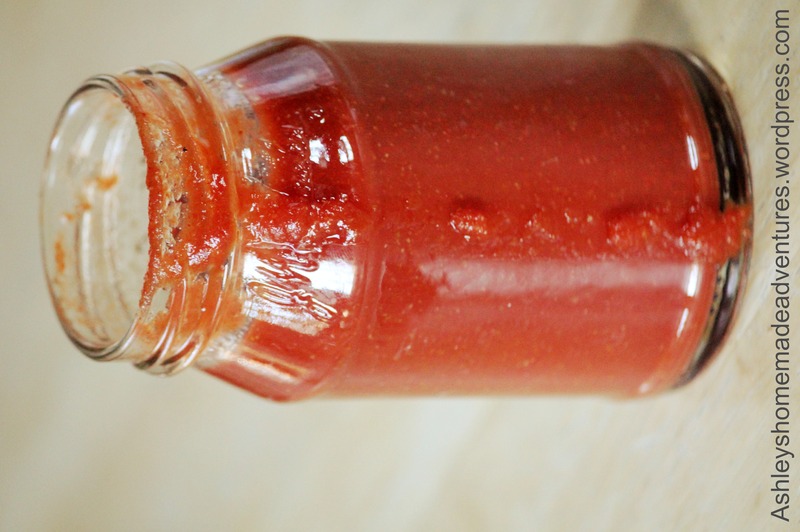 🙂 This is incredibly easy and probably the best taco sauce I have ever tasted. The best part? Nothing nasty added in, like preservatives. My five-year old was licking this off of her plate tonight at dinner lol. I found the original recipe here but I did not follow it exactly. Combine all ingredients in a small saucepan, whisk together. Cook on medium-low heat for 15-20 minutes, whisking occasionally. That is all, could not be easier! This is a very mild sauce, if you want to make it spicier you could add more chili powder, maybe some cayenne or red pepper. This sauce would probably be even better made a day in advance so the flavors have more time to meld together. Store in the fridge. 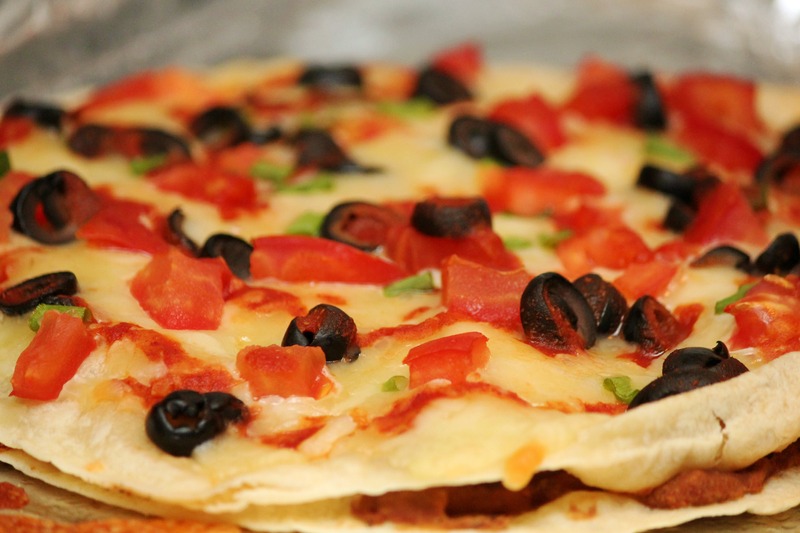 We had it on homemade Mexican pizzas tonight, YUM! Pour your ingredients into the same jar you are going to be using to store it. Place the jar into a saucepan and add enough water to go about halfway up the jar. Heat on medium until the beeswax melts. Stir, and carefully remove jar from pan – I am sure it goes without saying but just in case, it is HOT. Let cool completely, store covered. I loved using the same jar to store it in, because there was no clean up afterwards! I always have popsicle sticks on hand because we love to make our own, so I used one of those to stir. Literally the only thing I had to do was dump the water after I was done. You could even let it cool completely and use it to water your plants. It only takes a few minutes for the beeswax to melt so keep an eye on it. I would not recommend boiling the water because the jar might tip and spill. This only fills a small jar so if you want to make a large amount use a bigger jar and double the ingredients. I actually made two jars of it, and while one was cooling I stirred some essential oils into it to make a natural antiseptic ointment. I used about 10-20 drops each of lavender, lemon and tea tree essential oils. I will probably also use this as a base for homemade vapor rub with some eucalyptus, peppermint and lavender essential oils. Any one of these would make a great gift too! 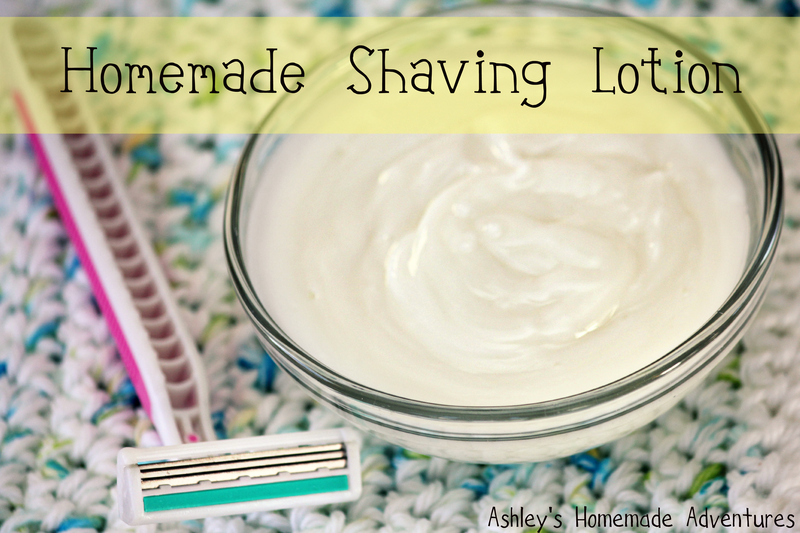 Finally an alternative to store-bought shaving cream! I have tried using plain soap or body wash (can we say razor burn?!) and also plain conditioner (worked fine but not silky enough for me) So yes I will admit I was still using store-bought, but now I can kiss it goodbye! I was using lotionized shave creme, but looking at the label makes me cringe. Sulfates, parabens, and a whole bunch of other crap I can’t even pronounce. 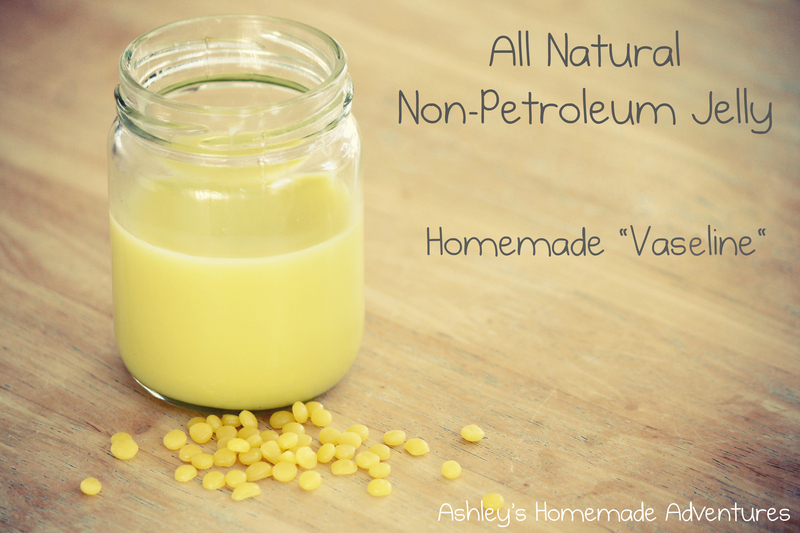 I am so glad this homemade shaving lotion can be made without all that! Not to mention it works great and leaves your skin feeling silky smooth. Wisk all ingredients together, pour into a bottle and you are done! I am absolutely in love with this stuff and never plan on buying any chemical laden shaving cream from the store again! I store mine in a pump bottle, which makes it super convenient. Enjoy!